If you’ve walked Canal St. in lower Manhattan’s Chinatown, you’ve probably passed by the modest headquarters of Abacus Federal Savings, a family run community bank that has served New York City’s Chinese immigrant population for more than three decades. It’s more than a mile away — and a world apart — from the more famous banks on Wall Street whose reckless behaviors during the housing bubble led to trillions of dollars in economic loss, the failure of financial institutions nationwide, an unprecedented federal bailout of the banking and auto industries, and continued fraud by big banks in a rush to foreclose on large numbers of homes as quickly as possible. You might think the Manhattan district attorney had his choice of banks to prosecute for these obvious and far-reaching crimes, but in the end only one bank has been indicted on felony fraud charges related to the 2008 collapse: Abacus. 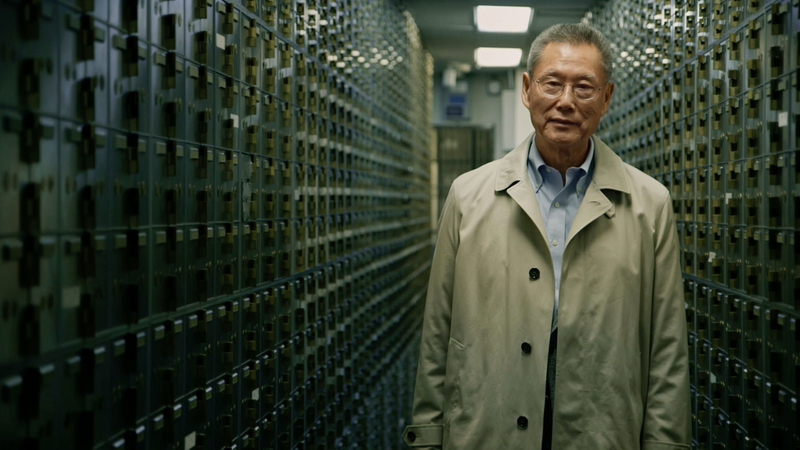 Tonight’s episode of PBS’ Frontline is “Abacus: Small Enough To Jail,” from documentarian Steve James (Hoop Dreams), providing a behind-the-scenes look at the years-long legal battle between the Chinatown bank and prosecutors who targeted Abacus while leaving Wall Street intact. On May 31, 2012, when Manhattan D.A. Cyrus Vance announced a multitude of charges against the bank and 19 current and former employees, alleging that Abacus had sold “hundreds of millions of dollars worth of fraudulent loans to the Federal National Mortgage Association” (Fannie Mae), he intimated that Abacus had been involved in the same sort of underhanded schemes that bigger lenders used to paint a pretty face on shoddy loans in order to make a quick buck by reselling them before they went toxic. But as those who followed the story would find out over the three years that followed, while there were unethical employees and questionable loan documents being filed at Abacus, there was no apparent effort to defraud Fannie Mae. Abacus inadvertently pushed itself into the D.A.’s crosshairs in Dec. 2009. A young couple, both immigrants, had come to the bank to close on the purchase of a two-family house in Brooklyn. The Abacus loan officer who’d worked with the couple on the mortgage was not present, but the bank’s director Vera Sung — a daughter of the company’s founder Thomas Sung — was there. At some point, the husband said that he wanted to make sure that $2,500 in checks the couple had written previously would be put toward the closing costs. This confounded Vera, who’d never heard of these checks and immediately suspected that the employee, a man named Ken Yu, may have been up to something. She and her sister, Abacus president Jill Sung, confronted Yu, asking “What are these checks?” and then called off the close. They later confirmed that not only had Yu taken payments he shouldn’t have, but the loan application included inaccurate information about the couple’s income. “Ken Yu stole money and he was running a money-laundering operation on his own, unbeknownst to everybody here,” Jill Sung says in the documentary. Yu was fired and the bank notified its regulators at the Office of Thrift Supervision (which subsequently merged with the Office of the Comptroller of the Currency) after an internal investigation found that two other loan officers were engaged in wrongdoing. At the same time, the couple whose mortgage had been shut down at the closing stage were understandably upset. Because things had gotten so far before the process collapsed, the seller was contractually allowed to keep the approximately $70,000 down-payment the couple had put together. Feeling their money had been stolen, they went to the police. While investigators initially focused on Ken Yu’s alleged fraud, they eventually came to believe that there was a bank-wide problem with false and misleading documents, and that it was so obvious that there was no way bank management could have been unaware. Which leads us to that May day in 2012, when more than a dozen defendants were cuffed and chained together, and led into the courtroom for their arraignment. The youngest Sung daughter, Chanterelle, was actually an attorney in Vance’s office at the time of the indictment. Speaking now, Vance acknowledges that this spectacle may have been a bit overboard, but puts the blame on court officers, not his people. “It was very unfortunate, but… it happened,” shrugs the district attorney. At trial, the prosecution attempted to paint a picture that the bank and its senior management were aware of and complicit in the mortgage fraud. Many borrowers testified that they had been misled into filing false documents, or that they didn’t know what they were doing was against the rules. But attorneys for Abacus were frequently able to demonstrate that these same witnesses may have been actively involved in trying to pull one over on the loan underwriters. For example, the one borrower who testified that he didn’t know that he’d been listed as a “manager” on the loan application, even though he’d also filed an employment verification document signed by the co-owner of the restaurant where he worked. What’s more, he repeatedly denied knowing much about the other co-owner of that business, at least until the defense attorney got him to admit that his sister is actually that co-owner. Yu, who was supposed to be the star witness for the prosecution, was also caught lying on the stand, saying that he did not ask for or expect a loan applicant to pay him a cash tip if he could get them a loan. In fact, Yu was caught on tape by the D.A.’s office explaining this to a borrower. He also would “gift” money to loan applicants and sign a falsified gift notice claiming to be a relative of the borrower. However, this practice went unnoticed by the underwriters because he signed his birth name, Qui Bin Yu, instead of his professional name. The prosecutors argued that Vera Sung had approved one of these loans with a falsified gift notice from Yu, but the defense pointed out that this piece of paper and certain other underwriting documents are not obtained until after Sung’s signed off on the loan, meaning she did not see this form. In a sense, there’s really nothing wrong with a bank deciding to lend money irresponsibly. If the borrower defaults, it’s the bank’s problem. Where things get tricky is when the mortgage lender then resells those loans to someone else. Similarly, it’s one thing to sell someone a good loan that eventually turns rotten because of unforeseen circumstances, and another to sell loans that you already know are going to rot. Just look at the “Hustle” program cooked up by Countrywide in its waning days. To make as much money as possible, the company effectively stopped underwriting loans. This allowed them to issue mortgages quickly and turn them around for resale, consequences be damned. But prosecutors faced a problem with trying to equate Abacus’ occasional goofs with the deliberately lax standards at other lenders: The Abacus loans were solid. Of the 3,000 loans sold by Abacus to Fannie Mae in the five-year period that was the focus to the indictment, a grand total of nine (not 9%, not 90 or 900… nine) were in default — a default rate that was far below the levels found at other banks. So why were there all these allegedly dubious documents if the borrowers were reliable? Some argue that it’s part of the nature of the immigrant experience. Many of the businesses run by recent immigrants in New York City are primarily cash-based; sometimes cash-only. As happens, not all cash businesses file accurate taxes and not all employees who are paid in cash are truly honest with the IRS about their earnings. So when a waiter claims to only be making $25,000 a year but has enough money to afford the down-payment and a mortgage on a $250,000 apartment, they may feel the need to fudge the paperwork to justify where and how they obtained their pillowcases full of cash. “Our responsibility was to provide credit to the community, not to be a policeman,” explains Thomas Sung. After more than 10 days of deliberations, the jury found Abacus and two top employees not guilty on all of the more than 180 counts they faced. Some on the jury say they felt the bank should have been held liable, but that under the letter of the law they could not find Abacus guilty. Vance and his team still maintain that they were right to prosecute Abacus and that they weren’t picking on the bank just because it served the Chinese immigrant community. The D.A. contends that accusations of cultural bias in this case are “misplaced,” and that his office would have acted the same if it were a bank that had served the South American or Indian communities in New York City. What Vance does not address is why he failed to take this action against banks that were so big that their fraud touched the lives of all New Yorkers. Neil Barofsky, who previously headed up the mortgage fraud for the U.S. Attorney’s office in NYC, likened Vance’s indictment of Abacus to the NYPD giving someone a ticket for jaywalking; yes, it’s illegal but it’s also a waste of valuable resources. Jill Sung doesn’t see the logic there. “If I sold Fannie Mae a loan for $5, not only did they get their $5 back on time, as what they thought they were going to get it, they also got $3, $4 to $5 back in interest, which makes it $10, so tell me how that is considered larceny,” she asks. Watch the whole Frontline tonight on PBS or at PBS.org.